The growing availability and potential rate of dispersion for personal data (name, address, transaction history, photographs, etc.) has generated new concerns over the security of its storage and handling. In 2016 The Council of the European Union responded with the European General Data Protection Regulation (GDPR), aimed at establishing a unified framework for securing every individual’s right to the protection of personal data concerning him or her. While these standards apply specifically to holders and handlers of data, tools like Exabeam can be used by such organizations to reduce gaps in oversight and prevent threats to personal data. 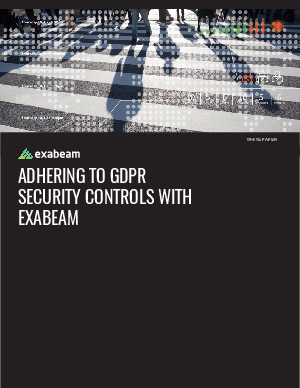 This solution brief will describe how Exabeam can help organizations implement effective security controls and best practices to achieve alignment with GDPR.